Whatever your job, whatever the job size, South Shore Pipeline gets it done right the first time, every time. On time. On budget. Minimum downtime. Reliability. Quality Assurance. 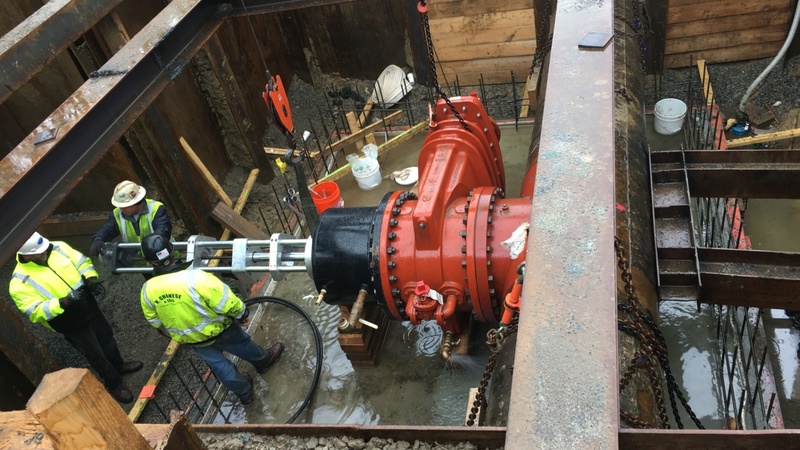 With over 20 years experience in design construction management and construction services of specialty water works and sewer works applications, South Shore Pipeline Services keeps your pipeline systems online during tie-ins, relocations, repairs, retrofits and routine maintenance. We have the experience and capability to work on projects big or small with an attention to detail and quality that you can rely on. We do a high volume of steam taps for our industrial and university clients, and perform small taps and service work for our residential site contractors. When you work with South Shore Pipeline, you work with professionals backed by state-of-art equipment with the experience to get the job done right the first time, every time. PCCP, RCCP, RCP, AC, H.D.P.E. PVC in sizes from 2" to 102"